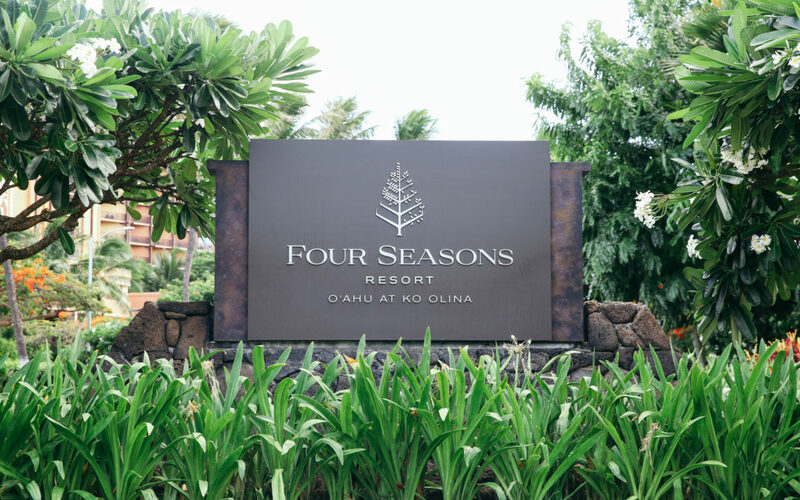 Located just beyond the entrance of Ko Olina lies the epitome of luxury and relaxation mixed with Hawaiian culture that can only be found at the steps of the Four Seasons Oahu. Couples can enjoy a quiet adult only infinity pool or stretches of deserted beaches. Among many other features, there are hidden pathways and tree arches creating a feel or romance around every turn. Honeymooners relaxing in the adult only infinity pool. If you seek a more intimate evening, the event experts at the Four Seasons offer romantic dinners at various locations around property. Fresh selections of seafood and flowers will provide you with a Hawaiian experience second to none. If you brought the family along, the Four Seasons Oahu provides at the ultimate playground for your keiki. Koi fish ponds and rippling waterfalls keep them intrigued, while the sandy beaches and protected lagoon keeps them entertained. 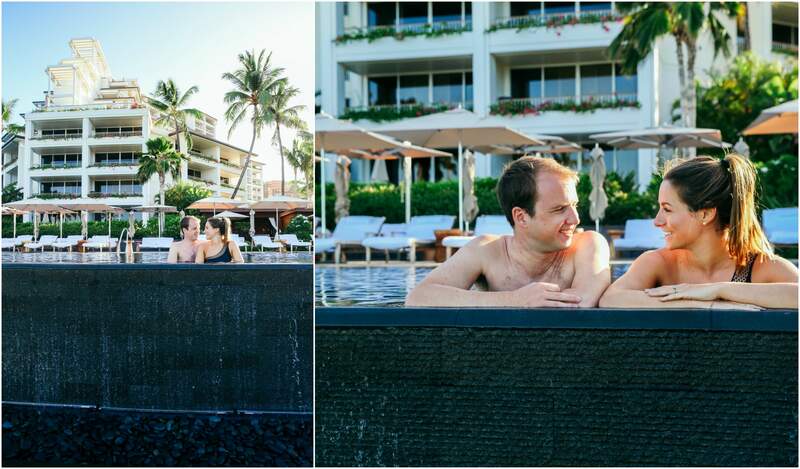 Creating everlasting memories in the Ko Olina lagoons. 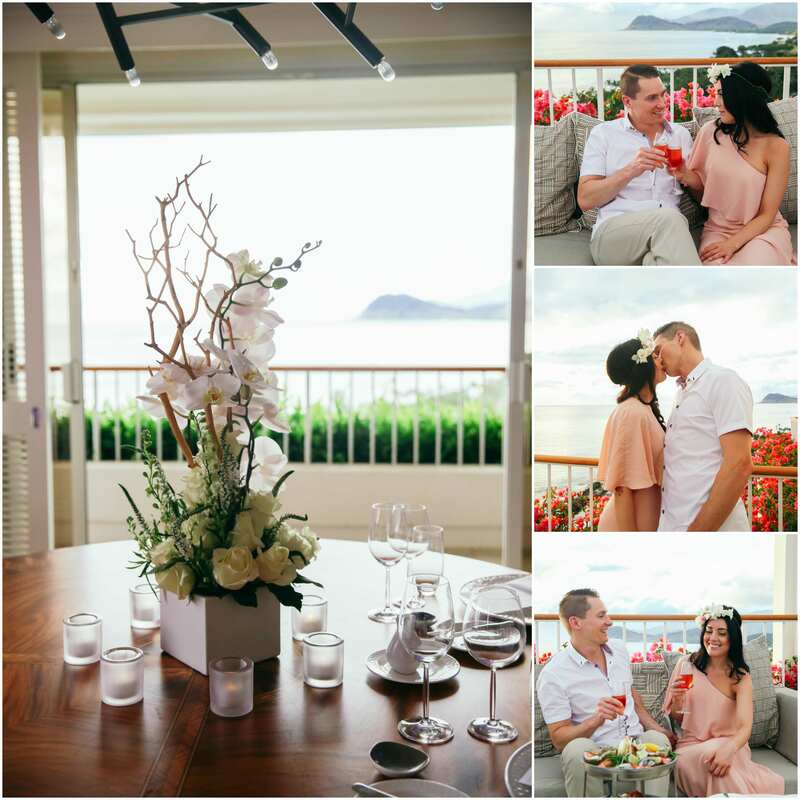 While visiting the luxury of the Four Seasons and the beauty of Oahu we encourage you to allow the artist of Blinnk Photography to capture your moments and provide you with a experience to be cherished for a lifetime.